Old Road, Leh, 194101, Ladakh (India), Ladakh. 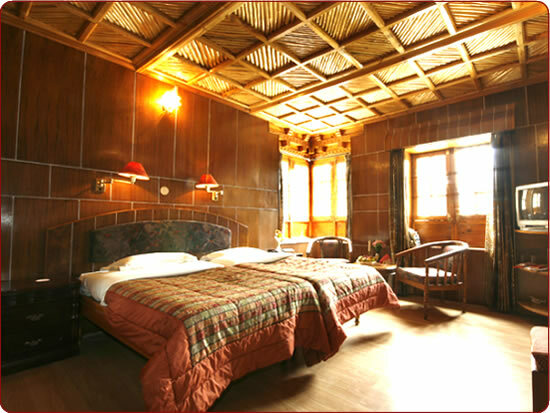 It is counted amongst the A class hotel of ladakh, constructed in a traditional ladakhi design. It is located in the heart of Leh town and provides easily accessibility to the main market, post office, airlines booking offices and taxi stand. It has 24 well furnished rooms and 4 suites that are equipped with all the modern amenities like direct telephone dialing services, heating system and cable television , hot and cold bath showers. Color T.V with Satellite connection. Telephone with Direct Dialing facility.